Celebrate Badminton’s 70th Anniversary in Style! Stay at The Badminton Retreat – the official provider of luxury glamping accommodation at one of the world’s most thrilling and prestigious International Horse Trials. Our beautiful glamping site is located right in the heart of the action by Huntsmans Close on the cross country course, next to Badminton House. We are surrounded by woodland with stunning views across the parkland of the Duke of Beaufort’s Badminton Estate. Being situated directly on the course you will be enveloped in the electric atmosphere so unique to Badminton. Enjoy the pleasure of a much more relaxed timetable, no more commuting to and from your hotel or guest house each day. 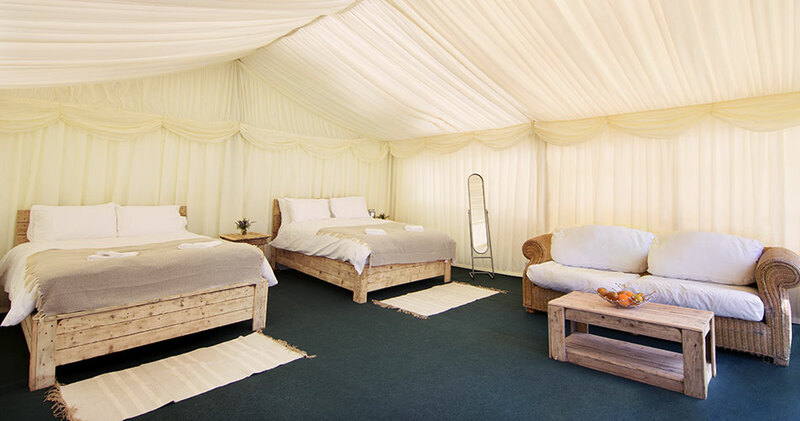 What can can I expect from luxury glamping at The Badminton Retreat? Our exclusive glamping site includes all the features you would associate with a guest house or B&B and many more exciting highlights to make your stay truly thrilling. Fully licensed Retreat bar with big screen highlights throughout the three day event of all the action with up to date reports from competitors and associated guest speakers. Fabulous food in the on-site Retreat restaurant, serving cooked breakfasts, cream teas and a supper menu. All our accommodation is tastefully furnished and includes real mattresses and cotton linen bedding, padded carpets and lighting. Choose from deluxe Safari tents or traditional canvass bell tents. Prices start from £1199 for the full 6 nights for two people sharing. Additional guests at £300pp. Guests can check in from midday Tuesday 30th April – 11am Monday 6th May 2019. Accommodation is very limited so please don’t wait too long to reserve your tent – book now to avoid disappointment. Thanks to our close ties with Badminton Horse Trials, evenings in the Badminton Retreat restaurant are set to be rather unique and exciting. We have lined up a series of special guests and speakers who will talk about all aspects of this most thrilling Three Day Event. This will be your chance to have your questions answered and to rub shoulders and have supper with associated riders, owners, officials, experts and exhibitors. Speakers and special guests will include current and past riders and owners, (including past winners), commentators, course designers and builders, vets and medical staff and trade stand exhibitors. Details of these special evenings will be released on our website in the run up to Badminton 2019, if you would like to be kept informed, please sign up to our newsletter mailing list at the bottom of the contact page. Throughout the day, Emily Lee, Ex International Event Rider, will be on hand to answer any questions about Badminton that you might have. Do I require a Season Admission and car pass for Badminton Horse Trials to enter The Badminton Retreat? As The Badminton Retreat is within the Badminton Estate Grounds and event area, a Badminton Season Admission Pass is required in addition to your glamping accommodation at a cost of £60 per person plus £30 per car which can be parked in our on-site car park. These should be purchased from our on-line shop at the time of booking your glamping accommodation. When do tickets for Badminton Horse Trials 2019 go on sale? Tickets for the Mitsubishi Motors Badminton Horse Trials 2019 Three Day Event go on sale in January 2019. For more information please visit the Badminton Horse Trials website. Who’s Behind The Badminton Retreat? The Badminton Retreat is a family owned company which along with the Glastonbury Retreat is run from Bartletts Bridge Stud, Cocklake, Wedmore, Somerset. Founded by husband and wife Barny and Emily Lee, who are no strangers to Badminton. Emily (nee McKenzie) competed at the prestigious 4* event several times during her professional eventing career and Barny also successfully competed to 3*.  Today Barny runs a thriving marquee and events business Barny Lee Marquees and an annual luxury pop up glamping site in Pilton for Glastonbury music festival – The Glastonbury Retreat. Emily is a sought after event coach and is regional under 18 coach in the South West for British Eventing. Based on their Somerset stud farm, they thrive on an extremely busy work schedule and spending family time together with their sons Jonny (11 years) and George (7 years) and little Isla (6 year old Jack Russell). We are extremely proud to be setting up camp at Badminton for the first time. We look forward to welcoming you to our little piece of glamping heaven at Huntsmans Close. You can find out everything you need to know about the 70th anniversary 2019 event by visiting the Badminton Horse Trials website.